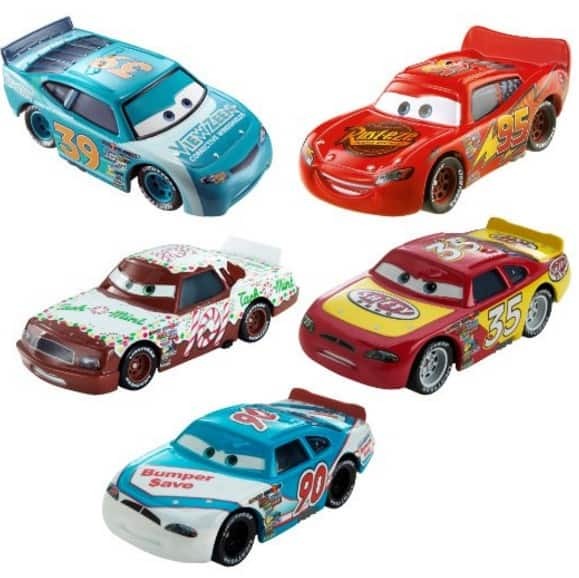 The Disney/Pixar Cars Diecast Car Collection is on sale for $7.67 at Amazon right now. That's 65% off the list price of $21.99! Get ready for action packed adventures with 5 favorite Piston Cup Racers! Inspired by the Disney/Pixar Cars movies, these cool character wheels feature iconic colors, decos, big personality expressions, and come in 1:55 scale-perfect for push around play! Kids can recreate high action scenes from the big race, rally with foes and friends and see who will be the new champion! With this diverse fleet of kids favorite hot rods, the race for fun is on!